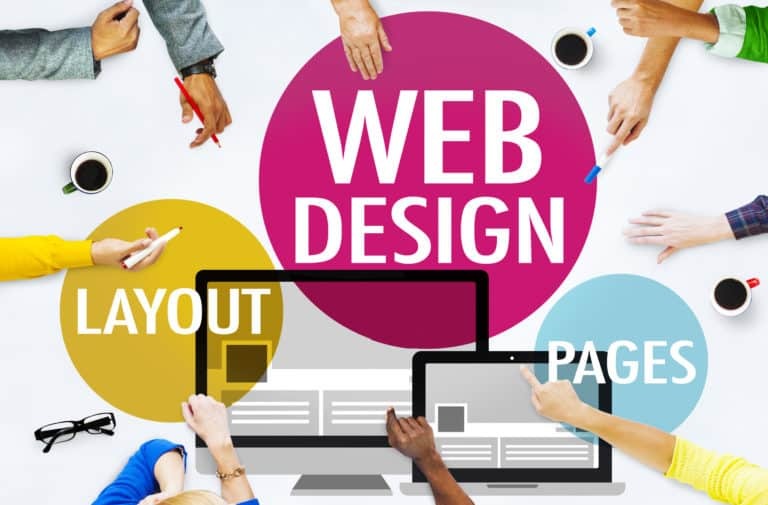 Website design styles are constantly evolving, especially in the fast-moving world of real estate marketing. The same real estate web design that attracted clients with its cutting-edge appearance and performance only a few short years ago may appear hopelessly outdated to your clients today. Many older real estate websites are unable to perform well on modern smartphones and mobile devices, which can cause potential clients to seek out other realtors to meet their needs. To stand out in the highly competitive real estate industry, you need a website that incorporates the latest design trends as well as all the essential real estate functionalities. The appearance of your real estate website is the first issue to address, because often that initial impression will determine whether visitors will continue on to explore the rest of your website. Once visitors do decide to tour your website, though, appearances alone aren’t going to keep them engaged and moving through your pages. To achieve that, you need a carefully planned real estate web design that has elements and behaviors specifically crafted to engage your real estate clients and advance your marketing aims. Google’s Digital House Hunt found that 89% of new home shoppers use a mobile search engine at some point during their research process. To capture the attention of these digitally savvy home buyers, you need a mobile-friendly real estate website that provides an easy, enjoyable user experience on all mobile devices. A responsive real estate web design automatically adjusts to provide the best performance experience on each device, ensuring your website will perform perfectly no matter how it is accessed. Navigation elements are easy to access with thumbs, fonts are readable without zooming, and pages fit in the viewing area without side to side scrolling. When you choose a responsive real estate website design, you have the peace of mind that comes from knowing your website will automatically adjust to perform perfectly on every type of mobile device for years to come. Now that so many clients look for properties using a smartphone, tablet, or other mobile device, real estate web design standards have moved away from huge, many-paged websites where visitors have to continually hit navigation buttons and then wait for each page to load. For Sale Marketing creates modern real estate websites that feature long, scrolling page design so visitors can easily move throughout your website to access content. Combining several shorter pages into longer pages makes it easy for you to organize your real estate website into Neighborhood pages with sections for schools, parks, features, etc. to create local real estate marketing strategies that can’t be beat. At For Sale Marketing, all of our real estate web designs are created using WordPress. WordPress websites are ideal for real estate, as they are designed to make it easy to enact search engine optimization strategies. Search engine optimization plays a key role in real estate online marketing strategies, as it is the best way to ensure that clients can find your site. Your WordPress designed site allows you to effortlessly add the latest trending keywords to your pages, images, etc. to keep your website at the top of search results. Companies of all types have switched away from the drop-shadowed, three-dimensional buttons and elements that dominated website design for so many years. The most effective website designs for real estate now use flat, minimalist design elements to create a clean, clutter free appearance. We’ll create a clean, timeless look for your website using flat design principles, clear ghost buttons, and minimal design elements. This allows your real estate website to maintain a strong visual impact while making it easy for visitors to access key features. Your real estate website’s homepage will instantly grab visitors’ attention with a brilliant, full-screen photo or video background. We’ll choose an image that evokes the feeling of the homes you feature for a distinctive look that builds your real estate brand from the first moment visitors set eyes on your site. Since the main reason real estate clients come to your site is to find properties, your website will greet visitors with a centrally located MLS/IDX property search bar, located above the fold on your home page so visitors are naturally drawn to it. Hidden menus hide navigation off-screen, showing just a 3-bar element until users interact with it. Sticky navigation menus stay on-screen as visitors scroll down your page to provide a fantastic user experience for your real estate clients whether they access your website on a desktop, laptop, or mobile device. Real estate customers expect their agents to have a vibrant presence on social networks. Your real estate web design comes complete with themed social buttons that link to all of the major social media sites, including Facebook, Twitter, Google+, and Pinterest, as well as other social sites you choose. All of our real estate web designs come with an easy to update real estate blog already built-in. This gives you an easy way to incorporate the latest trending keywords into your website, while keeping your real estate customers engaged and interested with new, fresh content.